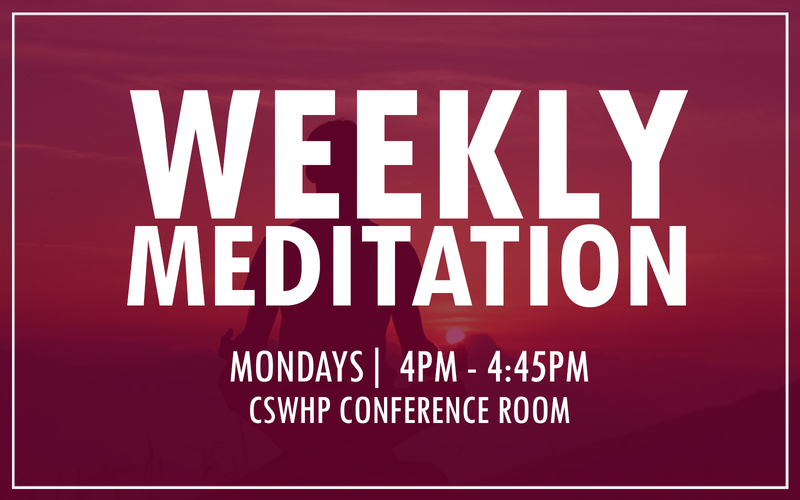 Join us for 30 minutes of guided meditation followed by 15 minutes of quiet time for meditation or journaling on your own. 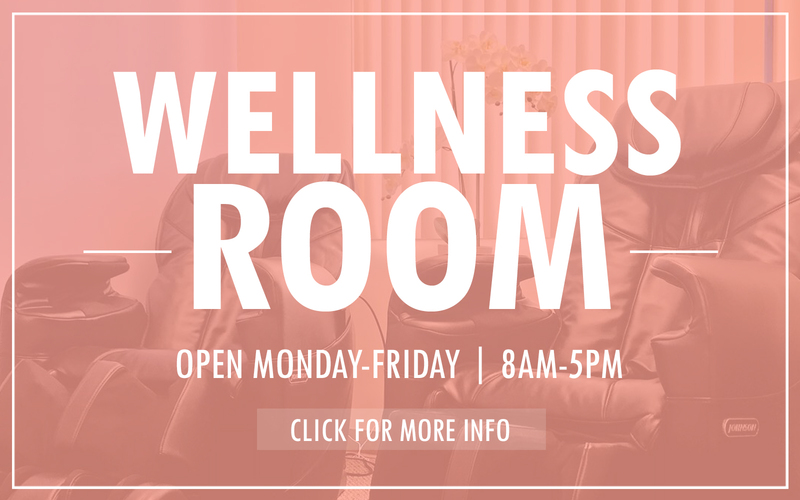 De-stress and be active while enjoying the beauty of our campus and our local environment! 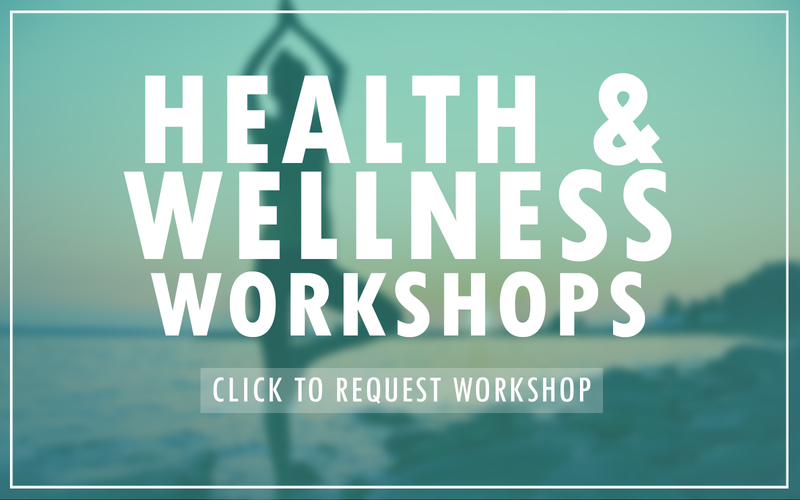 Come join CSWHP and Campus Recreation on a wellness walk featuring mindfulness/meditation component, an ecological education component and/or an outdoor education component. 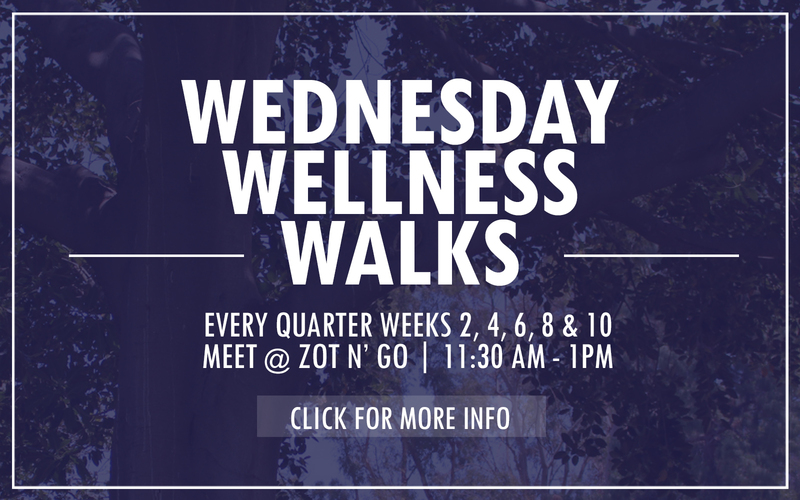 All walks will meet outside of Zot N Go at 11:30AM. 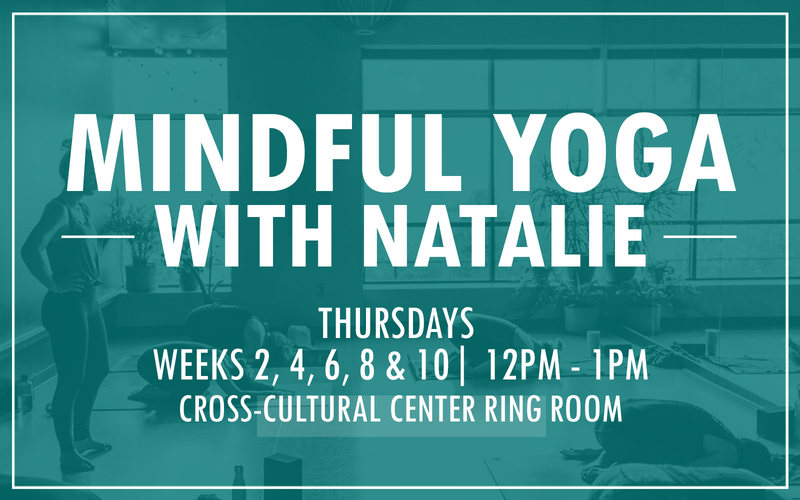 Come join our Wellness & Peer Educator Programs Manager, Natalie D’Azzo for a session of mindful yoga. Mats are provided. Drop-ins welcome. 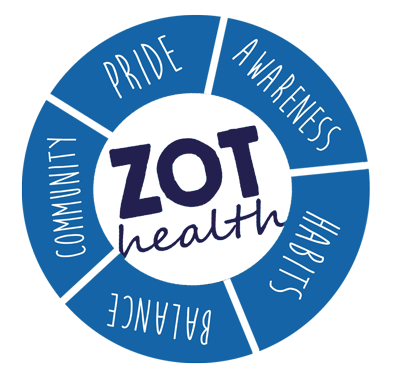 A program to encourage students, faculty and staff to be proactive bystanders when they see something they are concerned about or see someone in need. With everyone’s help, we can create and maintain the safe and supportive campus environment we all want to be a part of. 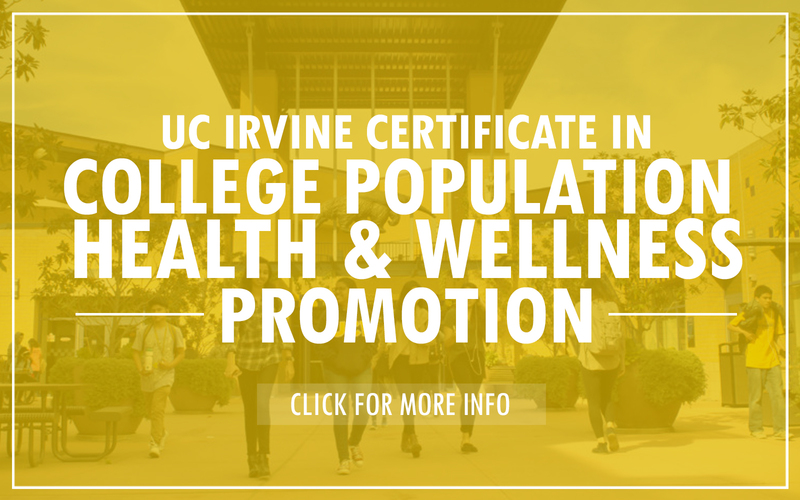 Step Up UCI!